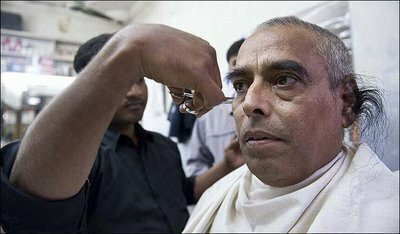 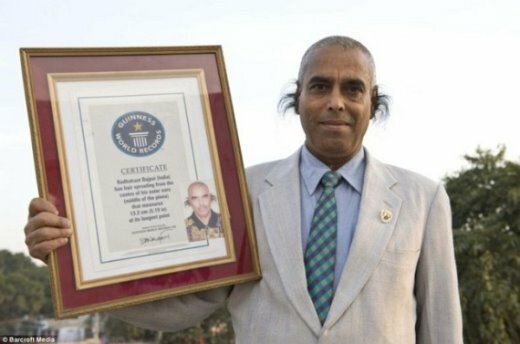 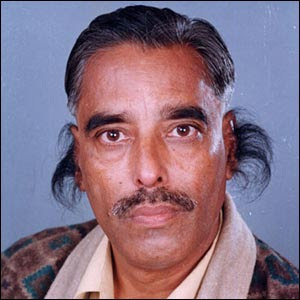 Officially recognised by Guinness in 2003 as having the longest ear hair in the world, Mr. Radhakant has carefully coiffed his ear-follicles from what was a record-breaking 13.2cm to their current ear-itching length. 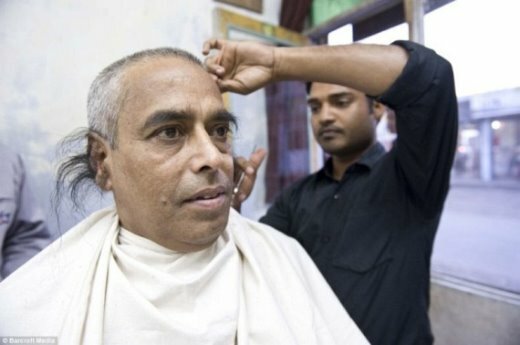 Considered by Mr Radhakant, 58, to be symbol of luck and prosperity, his ear-hair has been growing since he was 18 and has never been cut. 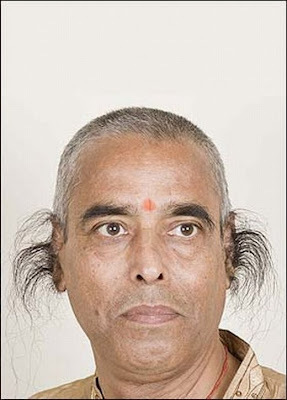 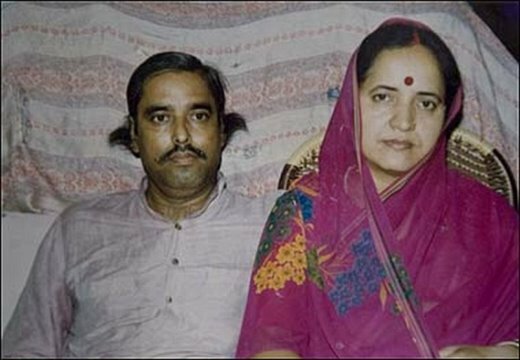 Maintained by a specially prepared blend of herbal shampoo, But Mr. Radhakant has so far resisted the pleas of his long suffering wife to cut it off. 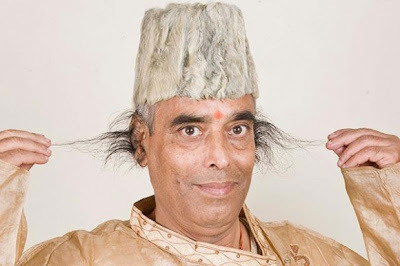 Mr. Radhakant has even stopped wearing rings, so as not to catch his hair and run the risk of losing out on his record.